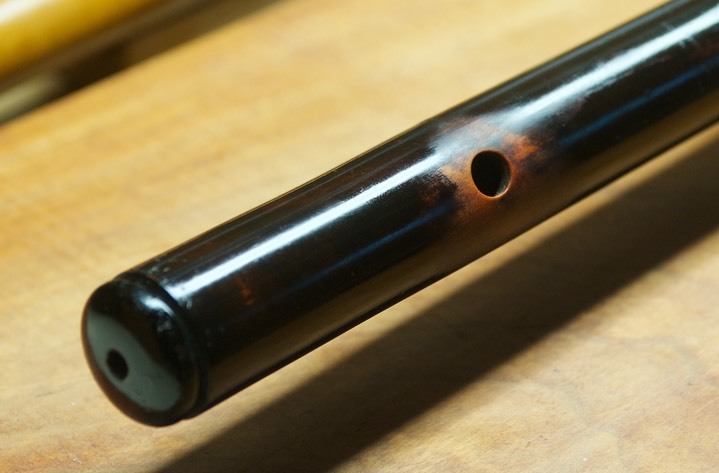 Notes: This is a very interesting flute. 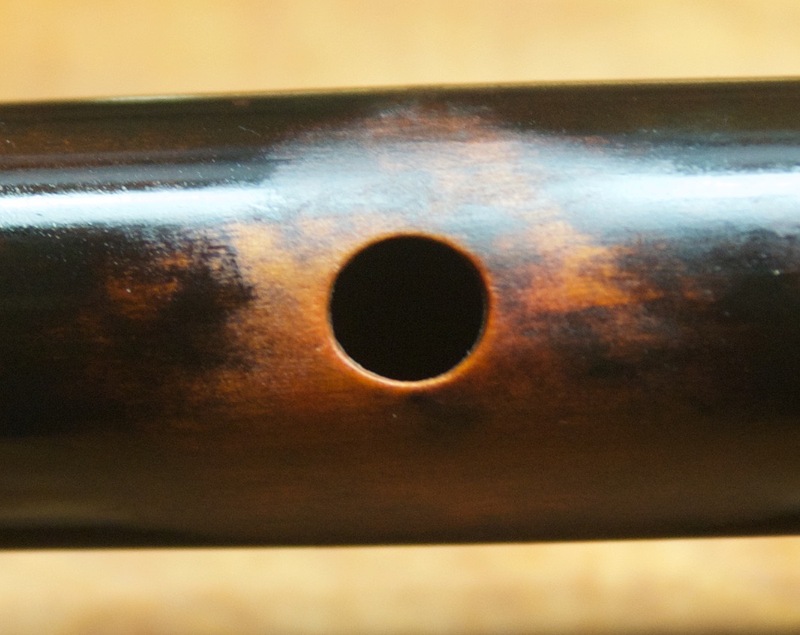 When I first saw pictures of it, before buying it, I thought it might be an mid-late 18th Century English flute. When I first played it, without yet knowing the maker, I still thought that likely. I was certainly surprised when on close examination I discovered it was by 19th century American maker, John Maecham. I suppose the flutes low pitch might influence my sense that this is in a very early style. I look forward to trying similar instruments to see if they have a similar character. I normally try to match the example music with the time period and country, however, in this rare case I find it worth doing some demonstration on baroque repertoire as well as later music.